This Roper Karman Classics Blue Plaid Western Shirt is a great fashionable shirt for all the cowboys out there. 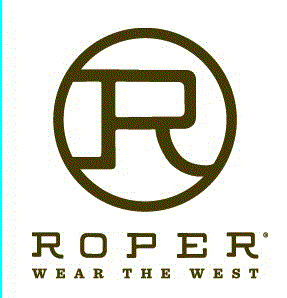 Roper provides a wide range of products and services to customers in over 100 countries. The company has four main business lines: Industrial Technology, Radio Frequency (RF) Technology, Scientific and Industrial Imaging, and Energy Systems and Controls. Roper joined the Russell 1000 index in 2004, and has annual revenues of more than US$1.7 billion, as of 2006. George D. Roper founded the company in the late 19th century, primarily as a manufacturer of home appliances, pumps and other industrial products. Roper initiated a corporate acquisition program, supported by an initial public offering, in 1992. In 2001, Brian Jellison, a former executive of General Electric and Ingersoll-Rand, joined Roper as Chief Executive Officer. The previous holding company business strategy has been replaced with an operating company model. Since 2001 Roper has completed acquisitions accounting for over half its revenues, establishing the company in global growth markets, such as radio frequency identification(RFID) and water.